A raised relief globe with over 4000 place names. Enduring appeal. 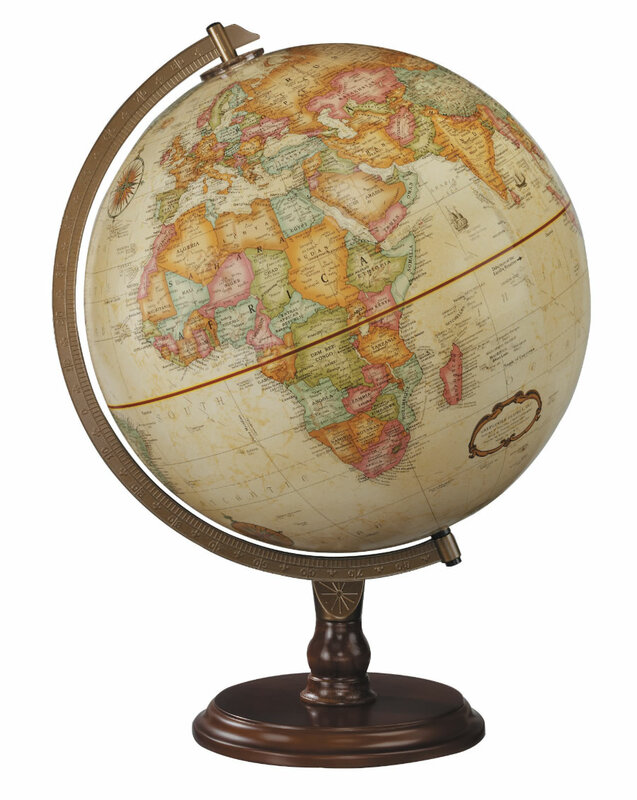 The successful blend of antique appearance, up-to-date cartography, attractive solid hardwood base and mountains in raised-relief have made the Lenox one of our most popular models over the years.